A council tasked with weighing in on disputes between federal agencies and employee unions at the end of collective bargaining negotiations voted to assert its jurisdiction over a spat between the Health and Human Services Department and the National Treasury Employees Union, but told the parties to try again to work out their differences first. 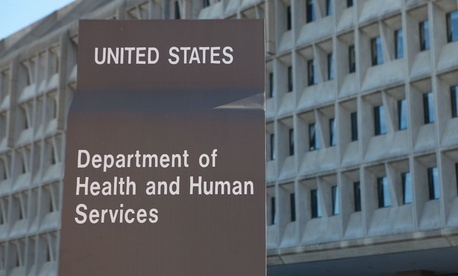 Last summer, HHS declared an impasse in its negotiations with NTEU over a new collective bargaining agreement after one day of negotiations, and part of another day with the help of a mediator from the Federal Mediation and Conciliation Service. Union officials have decried the negotiations as a “sham,” done in bad faith to “check the boxes” of the collective bargaining process and send it to the Trump appointee-stacked Federal Service Impasses Panel. On Nov. 15, the impasses panel announced that it would assert jurisdiction over 28 of the 34 articles of the existing union contract that the department proposed to change or delete. But it ordered the parties to conduct more negotiations, with the aid of an FMCS mediator, over the next 30 days. NTEU accused the panel of “putting its finger on the scale,” particularly since its members denied a request by the mediation service to delay the new bargaining period until January since mediators would only be available for two weeks, or 10 business days, during the time frame. HHS did not respond to a request for comment. Kimberly Moseley, executive director of the impasses panel, said that when a party requests the panel intervene in a negotiation, her staff conducts a preliminary investigation to learn the background of a negotiation process. She said staff often provide a recommendation to the panel on how to proceed, but that it is typically related to whether an issue falls under the purview of FSIP or her other employer, the Federal Labor Relations Authority. No staff members are in the room when the panel deliberates and votes on whether to assert jurisdiction, but she said instructions for further mediation are somewhat common when there is a dispute over how long parties have bargained. Reardon said that NTEU will keep its options open, and is prepared to fight if there is no agreement during mediation and the union is not satisfied with the impasses panel’s final decision. “If we have a contract imposed on us without any meaningful bargaining, we’ll avail ourselves of every legal option at our disposal, because I believe we have an excellent case with an arbitrator why there was a violation of the law that requires government agencies to bargain in good faith,” he said.